Beverage Wholesaler - December 10, 2018 To view this email as a web page, click here. Our annual Advertising and Promotion Awards celebrate the best design and execution of branded content in the alcohol industry. These are the marketing efforts that most effectively and creatively earned the attention of consumers and trade last year. 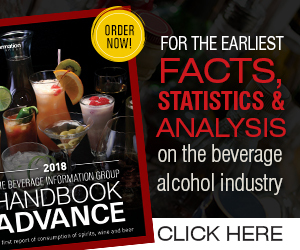 This year as always, editorial staff from Beverage Wholesaler, along with Beverage Dynamics and Cheers magazines, judged numerous entries. We picked out what we considered the most-impressive campaigns. Winners in 2018 included spirits, wine and beer brands with phenomenal digital, physical and video marketing campaigns.